The NCAA has announced it will create a new college basketball commission led by former Secretary of State Condoleezza Rice, as the result of a recent federal investigation into allegations of fraud surrounding the sport. Rice will chair the commission. 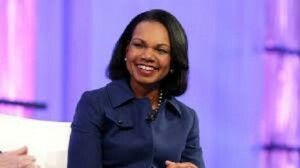 “I have secured endorsement from the NCAA Board of Governors and Division I Board of Directors to form a Commission on College Basketball, which Dr. Condoleezza Rice has agreed to chair, to work with me in examining critical aspects of a system that clearly is not working,” NCAA president Mark Emmert stated. “The commission will be composed of leaders from higher education, college sports, government and the business world, as well as accomplished former student-athletes.